The legendary cartoon mouse will return to children’s TV in 2015, with Dublin animators behind the project. AN IRISH ANIMATION company is set to head up the re-make of classic children’s cartoon Danger Mouse. Boulder Media is among the best known animators in a world-class Irish stable that includes companies like Brown Bag Films and the Cartoon Saloon. Now, 33 years after the series made its bow, the mouse is returning to screens with CBBC. The original show ran on ITV from 1981 to 1992. The series will air during 2015, with a team including director Robert Cullen and producers Anne Tweedy and Peter Lewis heading up the production team between now and then. Boulder Media is promising a distinct look and feel for the show’s reincarnation, with the Dublin studio set to employ a ‘mixed media’ approach. Chief among the innovations in the shows new outing will be the replacement of DM’s trademark eyepatch with a multi-functional ‘i-Patch’. Sidekick Penfold will return, although it’s not clear yet if he too has been upgraded. I can’t wait to find out what he’s been up to for the last 23 years. Bpuldr Media was founded 14 years ago and is based in central Dublin. It has a staff of around 85 classically-trained animators and artists, and has worked with multiple leading industry lights such as Disney and Cartoon Network. It has won a number of BAFTAs, as well as an International Children’s Emmy. Email “Crumbs! Irish animation company to remake Danger Mouse”. Feedback on “Crumbs! 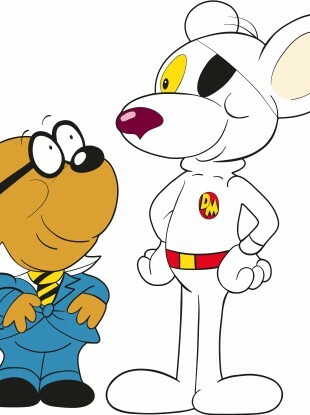 Irish animation company to remake Danger Mouse”.